This looks so sunny and warm - especially after the cold snowy day we have had here today. 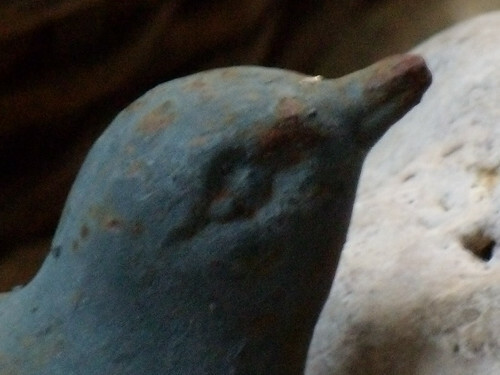 The little bird is so like the ones in your artwork. My mother always used to say, "a little bird told me." I always wondered how she knew. I can see your bird here tattling to my mom. 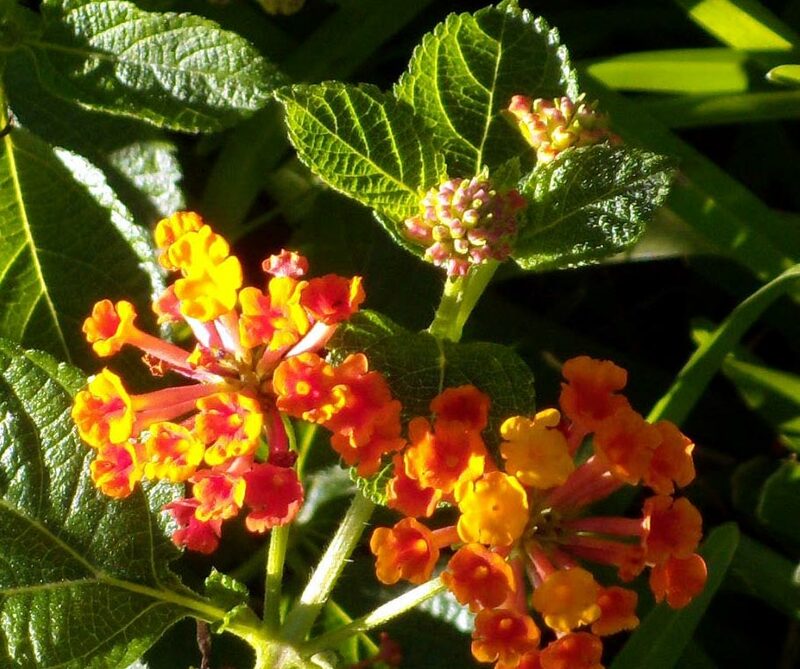 Lantana is one of my favorite flowers to grow, the hummingbirds come in for those. Yours is so pretty here. We won't be seeing them blooming in Michigan for a good long time now. Visiting your blog is my ray of sunshine today. Thanks. sun and fresh air always do the trick for me!!! it makes me smile as i found latana stuffed into my spare tire well this morning. The bird told you right. Every single sunbeam is extra joy these dark days. The bottom picture is so sunny and bright! Both pictures are beautiful! It's so nice to see such happy sunny flowers and your cute little bird! aww the little bird, is adorable. i love when little birds tell me things.